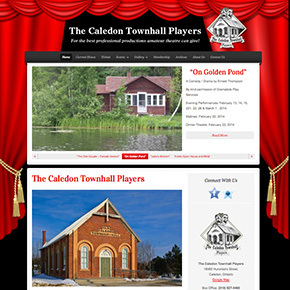 Very proud and excited to reveal The Caledon Townhall Players new website depute. Next season they will be celebrating their 50th Anniversary! Stay tuned to find out what special surprise are in store. The 2012 season’s lineup is sure to entertain with a lineup of comedies with “Best Laid Plans”, “Any Wednesday” and “What is Susan’s Secret?”.